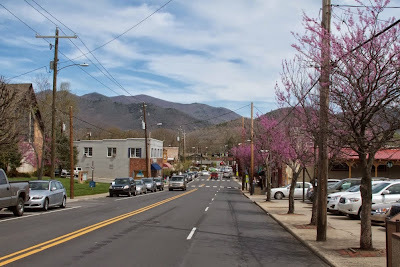 The town of Black Mountain, situated in the fertile Swannanoa Valley and rimmed by the majestic ridges of the Appalachians, was originally settled by the Cherokee. Located along a route pioneers used to travel west, it became a popular stopover with its inns, boarding houses, and commercial trade. With the coming of the railroad in the late 1800s, travel increased dramatically in the area. Lured by the magic of the mountains, many travelers decided to settle here, and soon a thriving town was established. Today, Black Mountain remains a popular tourist destination and is home to seven conference centers and retreats, including Montreat, which is the conference center of the Presbyterian Church and the home of Billy Graham. 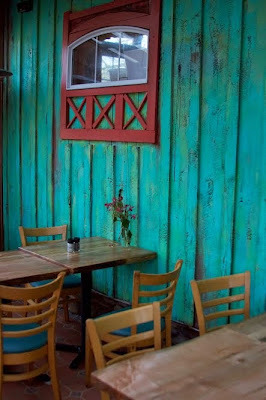 Downtown Black Mountain is alive with galleries, vintage shops, pubs and fine dining. After crossing the Continental Divide on I-40 West and heading into Black Mountain, streets with historic brick buildings draw you into the heart of town where mountain crafts, vintage shops, pottery, and art galleries cluster next to local pubs. The mountain air, friendly shopkeepers, and numerous dining options keep tourists flocking to the small, scenic town, located less than two hours from Winston-Salem. From sightseeing and hiking to food tours and shopping, Black Mountain has a lot to offer. Pisgah Brewing Co., home of the award-winning Pisgah Pale Ale, is just a few miles outside of town, and free tours of the brewery are available every Saturday. 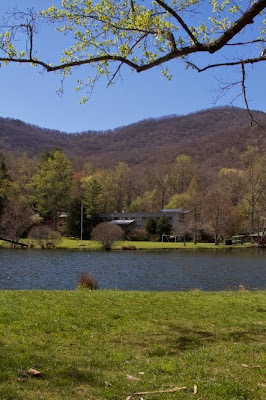 Close by, Lake Eden, the former location of Black Mountain College, is now a camp for youth, but many of the legendary college’s original buildings remain. In nearby Montreat, more than 20 hiking trails in varying distances crisscross 2,500 acres of pristine wilderness. Hikers may join a public hike led by a wilderness ranger or choose to hike on their own with a map. 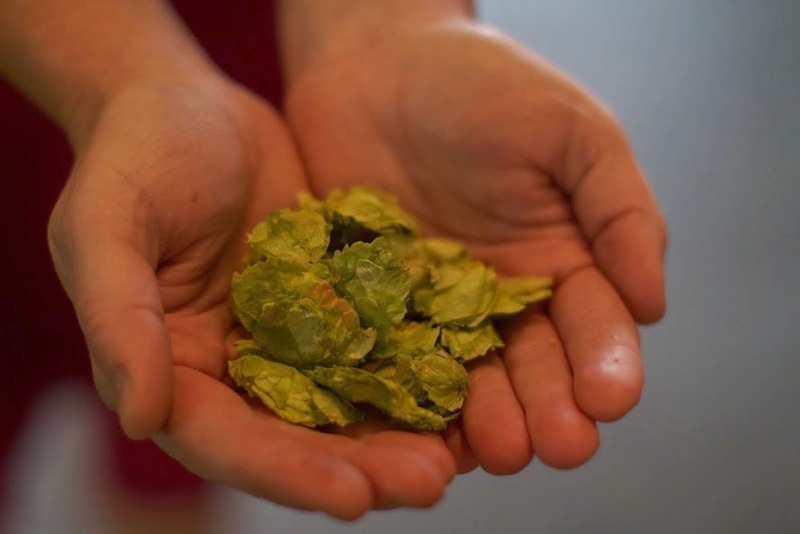 And for the foodies, Creative Mountain Food Tours offers a number of guided food tours that stop by five or more restaurants, giving tourists a chance to stroll, sip, and taste while chatting about local history and cuisine. When hunger pangs start gnawing, amble down the street toward Veranda Café & Gifts (119 Cherry St.) for soup and a sandwich, or head over to Trailhead (207 W State St.), a pub with craft beers on tap where all the locals eat. New on the restaurant scene is La Guinguette (105 Richardson Blvd. ), where Chef Stephane Diaz, former owner of restaurants in Paris and, most recently, in Asheville, specializes in crepes (La Normandie, with caramelized onions, leeks, Swiss, and Brie, is a favorite) and provides a happy atmosphere with great French wine. For a seriously good cup of coffee, and a bag of locally roasted beans to take home, be sure to stop at the famed Dripolator Coffeehouse (221 W State St.). La Guinguette is the perfect place for a glass of French wine or one of their famous crepes. If you’re spending the night, there are several great places to stay in town. 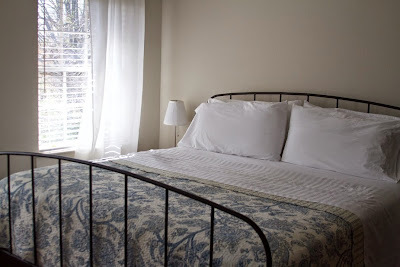 Red Rocker Inn, an 1896 Victorian bed and breakfast with fireplaces and whirlpool tubs, has a delicious breakfast buffet. 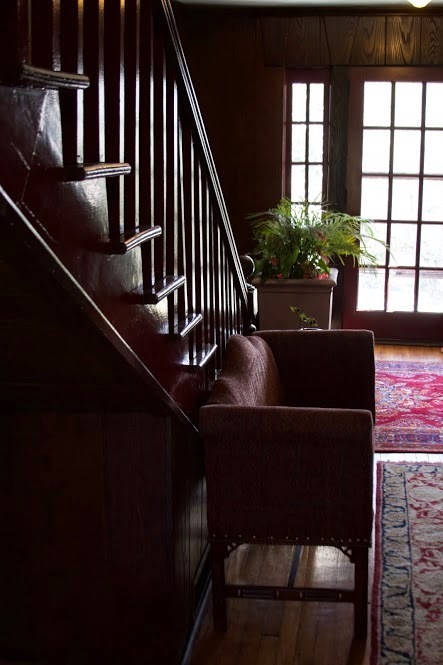 Just down the road is Black Mountain Inn, a historic bed-and-breakfast where the likes of Ernest Hemingway, Norman Rockwell, and John Steinbeck once stayed. Then there is the Monte Vista Inn, a historic hotel which functioned as a boarding house in the 1930s and is now a popular wedding destination. 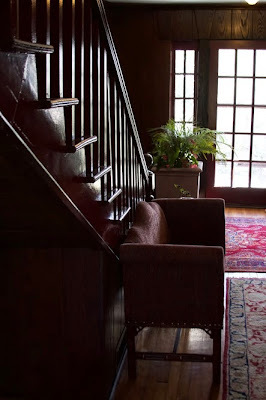 Black Mountain Inn, where the spirit of Hemingway lingers. The Monte Vista, a historic hotel where every room has a view. If art is your thing, next door to the Monte Vista is Red House Studios (310 W. State St.), owned by the Swannanoa Valley Fine Arts League. It houses seven working artists’ studios and offers exhibits, classes, and workshops. Downtown is also home to Black Mountain Center for the Arts (207 W. State St.), a community arts facility that houses monthly exhibits along with programs in music, visual, and performing arts. Downtown is also where you’ll find a variety of shopping options. 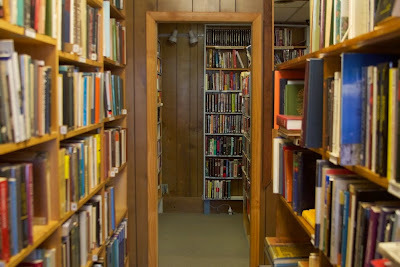 For book lovers, a visit to Black Mountain Books is a great place to find new, rare, and vintage books. 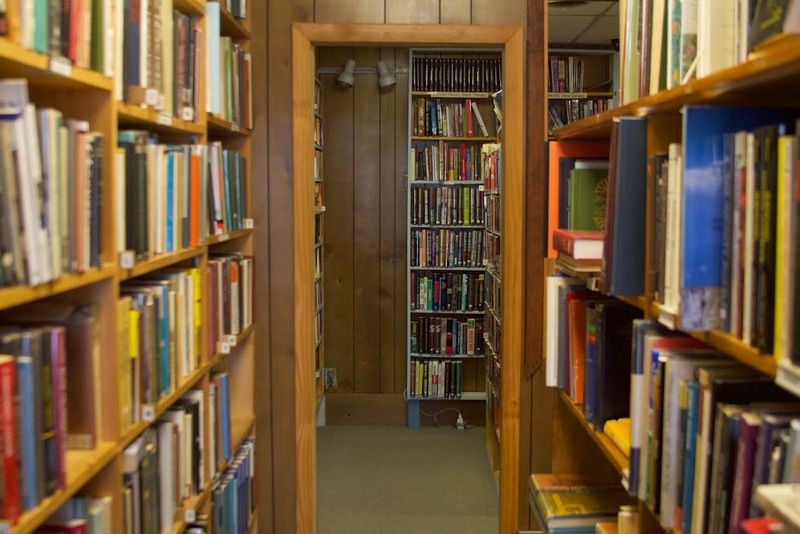 Then there are vintage shops such as Chifferobe, where you’ll find anything from a copper baking pan to an antique broach, or Song of the Wood, where Jerry Read Smith’s handcrafted hammer dulcimers are on display. Other noted shops include Seven Sisters Gallery, which carries a unique collection of jewelry, art, and accessories from local artists, and Take a Hike Mountain Outfitters, where you can stock up on camping and hiking gear. If you’re looking for an overnight road trip and a feast for the senses, look no further than this picturesque town in the Blue Ridge, where the views are free, the food is incredible, and the artistic heritage of Appalachia remains strong. As featured in the June, 2015 issue of Winston-Salem Monthly Magazine. Article by Naomi Gingerich, photos by Joshua Ruffner. Copyright 2015. Sunlight streams through the open windows of this 1600's farmhouse situated in the beautiful countryside of Normandy on the northwest coast of France, home to Cat Bude, her husband and three children. A writer and photographer working for a museum design firm, Cat was swept off her feet twenty years ago by "French Guy," as she calls him, in a Los Angeles dog park, and, six months later they were married. Their initial years of marriage were spent moving about to various places in the Pacific Northwest where they owned a bed and breakfast in Port Townsend, Washington, followed by a move to Bainbridge Island where they opened a French Antiques business. The birth of their second child brought a tremendous change to their lives when their son was diagnosed with autism at age 20 months. A firm believer in the providential hand of God, Cat relied on her faith, a support group of fellow moms with autistic children and a strong network of family and friends to get her through those difficult years. But when the economy plunged in 2008, and their business and marriage along with it, her husband initiated the biggest change of their lives to date - a move to his home in France. 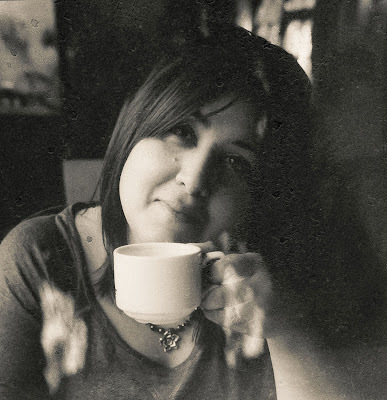 Cat - vintage seller, mom, wife, foodie, photographer, writer. In 2010, the Budes uprooted their small family from the island community they had come to love and headed off to the French countryside where, in 2013, they found their current home. Life in France has not been an easy adjustment for Cat, who misses her family and friends, but bringing new life to this old chateau has been helpful in making her feel she has truly found home. With the addition of her online vintage pop-up shop, Sunday Brocantes, which takes place on the first two days of each month, Cat has found added fulfillment to her life in this new country. The shop includes her homemade soaps with lavender from the garden, vintage linens, and a delightful array of flea market finds from shopping trips around the country. Their 17th century farmhouse, overrun with legions of rabbits when they first discovered it in 2013, has been appropriately named Maison Rabbit Hill. And for dinner tonight - mussels fresh from the coast. A herd of neighboring cows graze on Rabbit Hill's 19 acres of protected farmland. 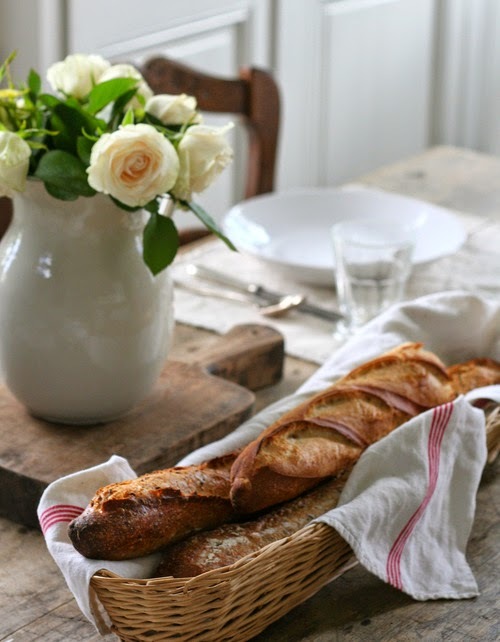 Baguettes are a staple on any proper French woman's table, along with a beautiful bouquet of roses from the garden. A fresh batch of soap awaits packaging for the pop-up shop. This counter, these cutting boards, that display rack -- a dream cooking space. Cat hosts vintage shopping tours throughout the year and entertains patrons in this beautiful dining room where fine French wines make an appearance alongside an assortment of cheese from the fromager. A lovely old table found at a flea market is perfect for an outdoor dinner. And for fancy holiday meals, the library creates the perfect atmosphere for a proper French feast: poached fish with cream sauce, lemon herbed rice, salads, and of course a selection of cheese and tarts. Lucky finds from a flea market venture in Amiens. This classic French apron and assortment of kitchen linens are regular finds in Sunday Brocantes. Ruling the roost (and providing eggs for a family of five). Fete du fromage yields a lovely assortment of cheese. Here, fabulous brebis. So many varieties of pepper! Now that's something to sneeze about! The youngest of their three children, this one is Cat's helper in the kitchen. A rainbow of hope and promise over the lovely old barn at Rabbit Hill where King Charles Spaniels loll in the grass and cats stretch in the warm sunshine while chickens cluck and ornery goats frolic about looking for mischief. At the start of last week I had both an abundance of vegetables from the market and a lack of time to plan extravagant meals to use them. I was looking for a way to use them all and save valuable time making meals the rest of the week. The result, was a tray of delicious roasted vegetables, and three delicious meals after, and extra minutes to do all of the other things on my busy schedule. Step 1: Clean up and slice vegetables. I used yellow peppers, red onion, fennel, leeks, carrots, zucchini and egg plant. Place on a tray and add a generous amount of olive oil and sprinkle with Rabbit Hill 'Sel de Mer aux Herbes - Mediterranean' blend which features Herves de Provence and sun-dried tomato. Roast in the oven for just under an hour (watch to make sure they don't get too brown or dry) at 350 - 400 max (180C-200C). Cool, cover and put away for future use. Make any kind of pasta. Grill turkey or chicken breast strips and toss chopped roasted veggies with the grilled poultry and the cooked pasta. You can add pesto, chopped herbs, feta or grated cheese. Recipe #2: Top a pre-made crust with roasted veggies, fresh basil and goat cheese. Add capers, olives, pepper flakes. Cook based on the crust's normal directions. Recipe #3: Layer all of the remaining vegetables in an oven-proof dish. Top with cheese (I used feta) and six beaten eggs. Cook at 350F (180C) for 25-30 minutes depending on how deep your dish is. All of these meals were easy and yummy and took just minutes. And the best part was using all of the vegetables from the market and nothing went to waste. Market-fresh vegetables ready to roast in the oven. Her self-published book on autism, Leo Dances, is available through Blurb Books. For a daughter who grew up in a home where the kitchen was off-limits, this English wife, mum, photographer and former Fox News writer has done pretty well for herself in the culinary department. Her mother, a gastronomic genius with an equal passion for photography, believed her daughters would find their own way in the cooking world, led by the tastes of their families when they married, and never taught them the secrets of her vast collection of Indian, Muslim and British recipes. It turns out she was right, although Kanchan Char thinks wistfully to those childhood days when she wanted nothing more than to help Mum in the kitchen. Now a mother with two lovely daughters of her own, Kanchan has made the choice to teach her girls the skills she longed for early in life. Drawing from memories of her mother's spicy Indian dishes, her American aunts cooking briskets and hot dogs, and an Italian uncle who served mouth-watering dishes, she re-creates a bit of her childhood for her children as she cooks wholesome meals for their family each night. A melting pot of cultures, Char displays this to perfection in the variety of food she prepares, from Patatas Bravas or Prosciutto e Melone to Shammi Kebabs or a meaty Mughlai creation with tear-jerking spices. Kanchan lives with her husband and two daughters in lovely Dorset on the southwest coast of England. Along with her self-taught skills as a home cook, she is an avid writer, music lover and photographer. Her blog, The Intrepid Misadventurer, was a finalist in the BiBs 2014 list for Fresh Voice and shortlisted for the BiBs 2014 Photo category. Both her blog and Instagram are a visual feast of photography and word magic featuring her life in the English countryside and her travels around the world. Follow me on this photo journey through her daily life. Like mother, like daughter. Kanchan captures the beauty around her. 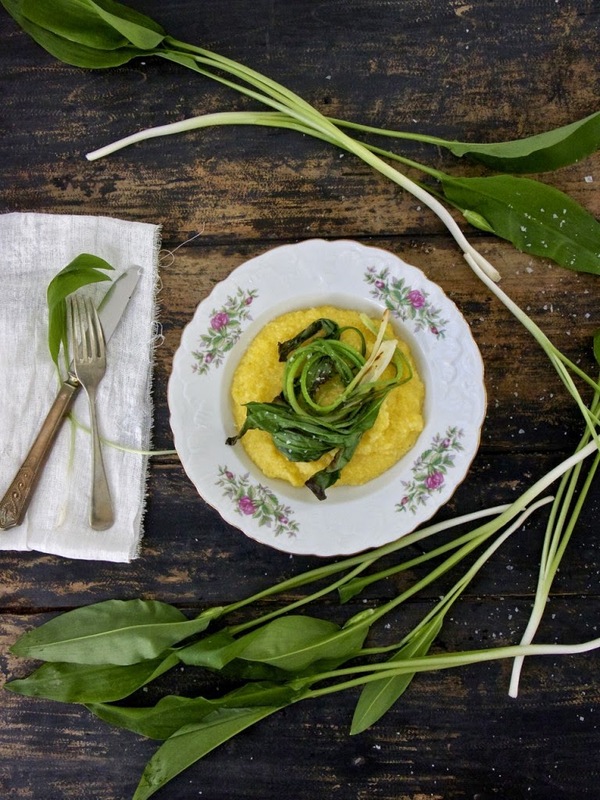 Kanchan's cooking skills have come a long way from the early days when she mistakenly purchased daffodils for asparagus. Food arouses memories, and for Char, who grew up in a home with several thousand vinyls, it also arouses music. Calamari was always prepared to the tunes of Soul Blues and Jazz. Beginning preparations for Patatas Bravas. Le Petit Prince - a favorite bakery and coffee shop in Dorset. As a child, Kanchan would peddle to the chemist's to get ISO400 monochromatic film for her mother's photography obsession, a passion she has inherited. Here, she enjoys a quiet moment with her favorite analogue photography magazine and a cup of coffee to start the day. Art provides inspiration for life. Here, a vintage find of a favorite artist. What's better than a cup of steaming coffee enjoyed in the early morning on the English coast? Slow-cooked risotto made with pantry essentials: air-dried sausages, cheese, chives and a fair amount of garlic. New Forest, a vast unenclosed pasture of land populated by free-roaming wild ponies and cattle. Family photographs and favorite art. The quiet beauty of the English countryside portrayed in this pastoral scene. 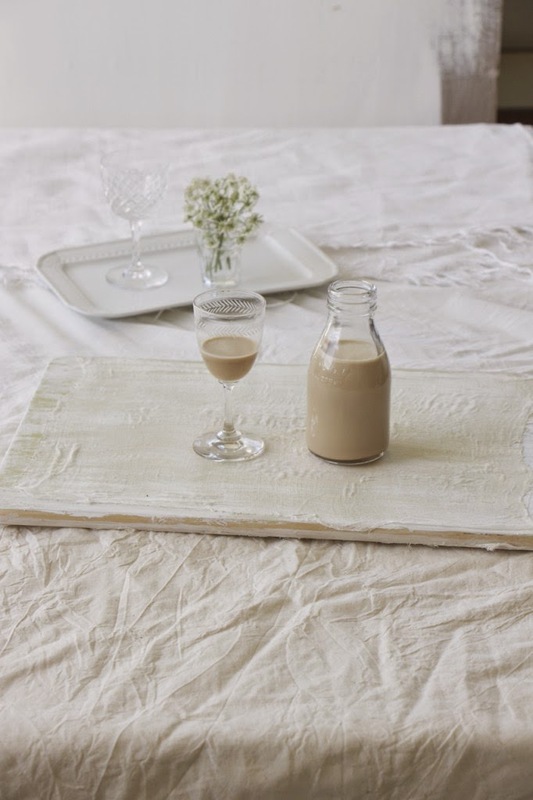 Home-cooked goodness served around this smooth, unfinished wooden table each night. A walk in the village includes a stop for a cuppa. One of the things I've come to love most in England is the wonderfully sweet- tangy Caramelized Onion and Goat’s Cheese Tartlet! 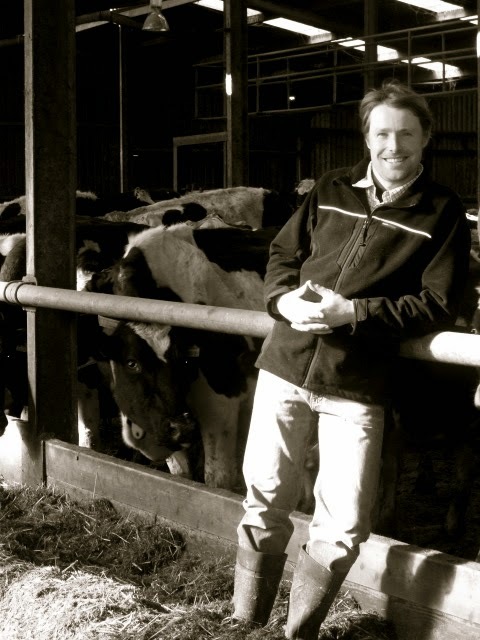 My first tryst with it was at the Manor Farm Tea Room in Bleasby, a family run organic farm in Nottinghamshire, which was our local haunt when I lived in Notts… a bit of a hallowed time in my life. I think Goat’s Cheese per se, is a bit of a polarizer…you either love it or despise it, few seem ambivalent about it! Part of my blog legacy is to not just catalogue my mum’s recipes and food I have fond memories of growing up with, but to also incorporate my newer favorites. Some of these classic recipes I've come to love have initiated me into British cooking, and the success of them will always glow with the light of a thousand candles. In a heavy bottomed pan add the oil, crushed garlic, sliced onions and cook over a low heat for 5 minutes, stirring often. You could add a teaspoon or two of light brown sugar to help with the caramelization! Stir occasionally for another about 6 minutes till the onions begin to turn a rich golden brown. Add a few sprigs of thyme and some freshly ground black pepper and cook a few minutes. Add toasted walnuts just before you take it off the pan! Cool and keep aside. Take the strips of filo pastry cut in roughly the height of your baking mold or muffin tray. Remember you’re going to lay the strips in circles around the base of the mold. Brush each strip with melted butter. Bake for 5-6 minutes, until the pastry is almost cooked. 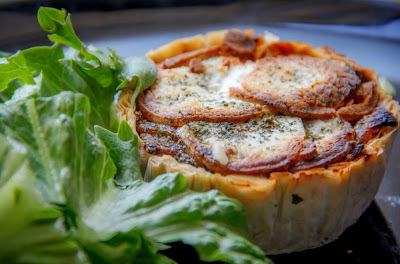 Spoon the onions into the baked tart shells and top with thin slices of goat’s cheese, sprinkle with mixed herbs (optional). Brush lightly with the remaining melted butter. Bake for 10–15 minutes until golden. Serve immediately with a helping of mixed salad leaves! For more on Kanchan Char, visit intrepidmisadventurer.com.